Carol Miller was baptized into Orthodox Christianity on November 26, 2005 at University of Wisconsin Hospital on what was going to be her death bed....but God has preserved her even to this very day. 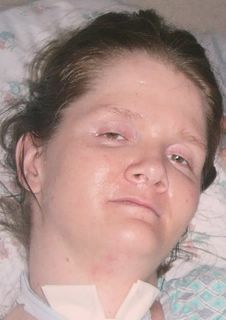 She is now residing at a long-term care facility in Northwestern Wisconsin. John Hernon is newly baptized!